Patrick died by fire, Adam Riske by water. How can we use that? My problem with Fallout is that i was waiting for the big helicopter stunt the whole movie. Everytime i saw a chopper on screen i sat up in my seat telling myself 'this is it'. And i love Freddy vs Jason. Thank you for being you. You're awesome. Man I thought Rebecca Ferguson was such a better, fleshed out character this time around. As soon as we’re reintroduced to her, she flat out pops a dude in the head. I’m the exact same way with satires. And I hated Sorry to Bother You ha bc just that. Also I wanna go to a Flashback weekend so badly. I can totally see how someone would hate Sorry to Bother You. It's a very take-it-or-leave-it movie. I liked it, but I don't think I'll ever revisit it either. Wasn't particularly interested in a podcast about Freddy vs. Jason, but trusted Patrick and Adam to make it entertaining anyway. My trust wasn't misplaced, thanks for another fun episode! I was a metalhead 15 years ago, so I recognized almost all the band names Adam listed, but most of them just vaguely. Fun fact: Powerman 5000's frontman is Rob Zombie's kid brother. And I saw Killswitch Engage live just a couple of months ago. They opened for Iron Maiden on their European tour. Yes! I remember hearing that about Powerman 5000, but totally forgot. I'm not a huge fan but they were all right. The ended with a cover of Holy Diver, which was pretty good. Great episode as always. Have not seen Freddie v Jason but that never deters me from listening. Was really interested to hear Patrick talk about before the devil knows you’re dead. I had my second viewing (first since movie theater) recently and had the same reaction. It is so unrelentingly dark but the acting is utterly fantastic. Only minor gripe was Bryan F O’byrne. I think he is a great actor but Jesus, when you ask an Irish person from the north to do a NY accent that is what you get. Just get a NY theater guy to play the part (and I say that coming from Northern Ireland myself). It sort of goes back to that billy bob Thornton interview on Marc maron recently where he talked about actors from the south playing people from the south, actors from England playing people from England etc. Competely agree with him I have to say. I know that we would have been deprived some great performances if that became a rule of thumb but I still believe the bad outweighs the good in that regard. Great podcast, cool dudes! I'm that rare egg who's a fan of this movie, so I was dreading hearing you guys crap on it for an hour. Instead, you did a great job with exploring both the bad AND good of the movie. 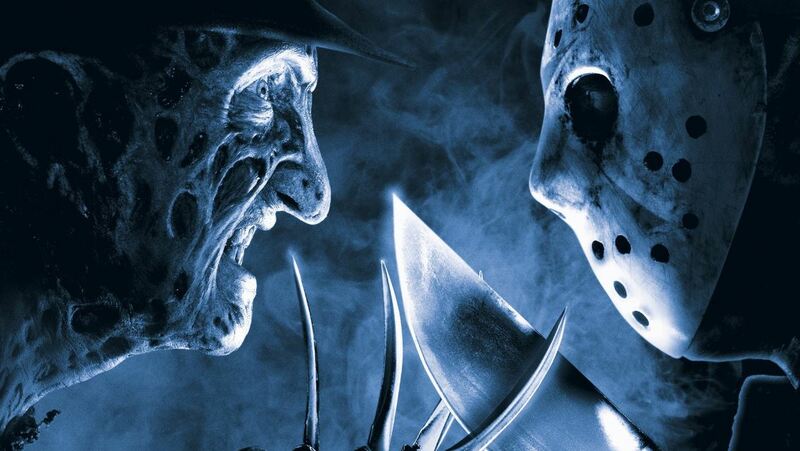 I understand why most folks dislike Freddy vs. Jason. It's more action-comedy than it is horror, and Kane Hodder's absence is sorely felt, but I can't help it -- the movie has me grinning ear to ear every time I watch it. I'm sincerely relieved we weren't too hard on the movie. I had that concern going in. Good to hear from you, Mac! Haha the soundtrack! It’s like so much who’s who of the nu metal scene, then Hatebreed, who’s like, one of my favorite bands ever. Great podcast tho. As always. I was also there on opening night. I was in high school and the first week of school was over. I liked it then more than I ever have, but less each time, but still kinda like it, if that makes sense. I def like it better than X or Jason Goes to Hell, and Manhattan. I think both the remakes however, are better. Patrick, I really appreciate your review on The Purge movies, where they are disappointing because they don’t take it far enough... The first movie was a missed opportunity, the second movie was fantastic, and the third movie was disappointing for the reasons you mentioned - If you’re going to do a political movie then do it. Also, the optics of a huge group of POC rallying to protect a privileged white lady savior... yikes.